Home → Blog → What’s So Special About That? What’s so special about a 10 colour process printer? A lot! In 2017 CanadaStickerKing.com invested in Epson 64″ 10 Colour eco-solvent printers. In addition to the typical cyan, magenta, yellow & black used in printing full colour images, these printers add light cyan, light magenta, light black, orange, red and white channels. These extra colour channels produce a wider spectrum of colour for very bright, vibrant prints. Many printers have the additional light process colours but what really sets these printers apart is the addition of orange and red. 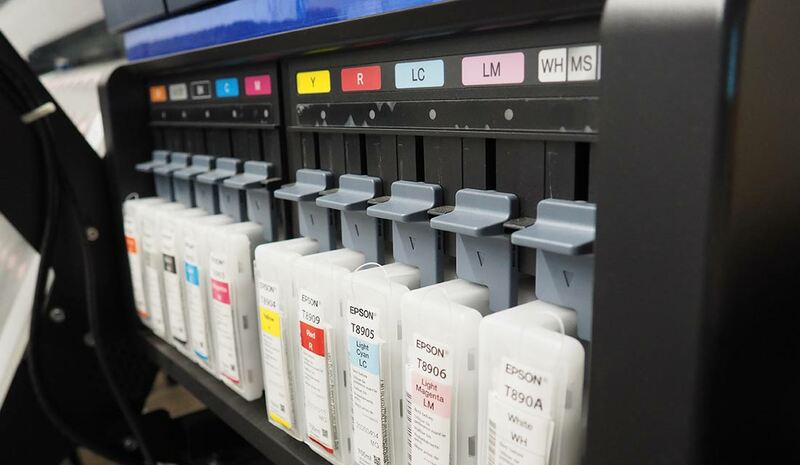 With these extra channels, we can print 98.2 percent of hte Pantone spot colour library.